Cyril George Hooke was born in London in 1896, fourth child of five and only son born to George and Ellen Hooke. George was a Clerk at the Custom House living in Balham. Cyril was first educated at Upper Tooting High School where he did very well. He was ranked 8th in a class of 28 at Christmas 1905 when he was nine years old and 2nd out of 27 one year later! On both occasions his conduct and progress were described as excellent. 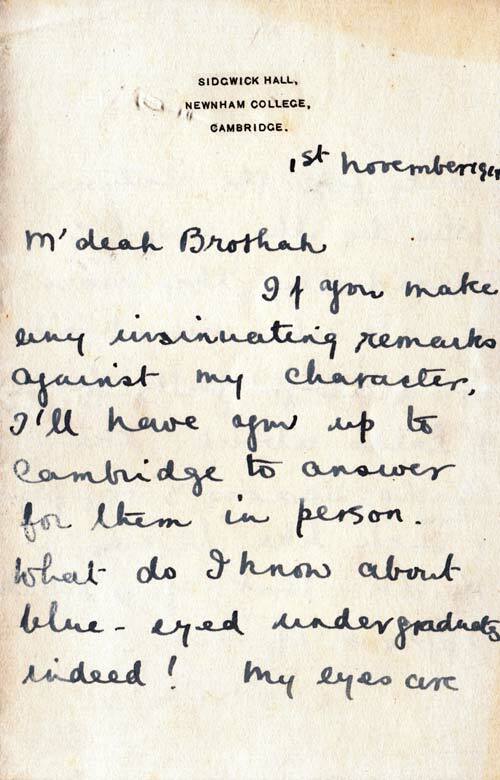 On June 28 1910 he received a letter from St Paul's Boys School offering him a Foundation Scholarship. 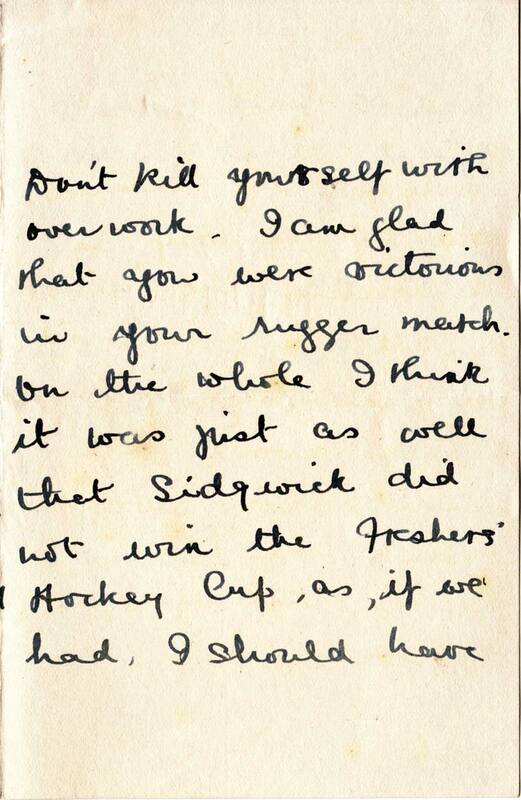 There he continued to do well, especially at sport, but it would be fair to say that he was not quite as academic or determined a student as his elder sisters, Mildred, Ella and Trixie. As can be seen in this school photgraph, Cyril did seem to have an uncanny knack for positioning himself close to the centre of group photographs, possibly because whatever he may have lacked as an academic he more than made up for in sporting prowess and, throughout his life, he captained most of the teams he was part of. Read more about St Pauls Boys School here. He was enrolled in the 1st Clapham (Crusaders) on the 24th May 1912, after joining on 3rd November 1911 when he was nearly 15. He became a 2nd class scout on 10th Jan 1913; but the records don't tell us when he became a 1st class scout. Cyril always had a great sense of humour and brightened up a room with his presence. 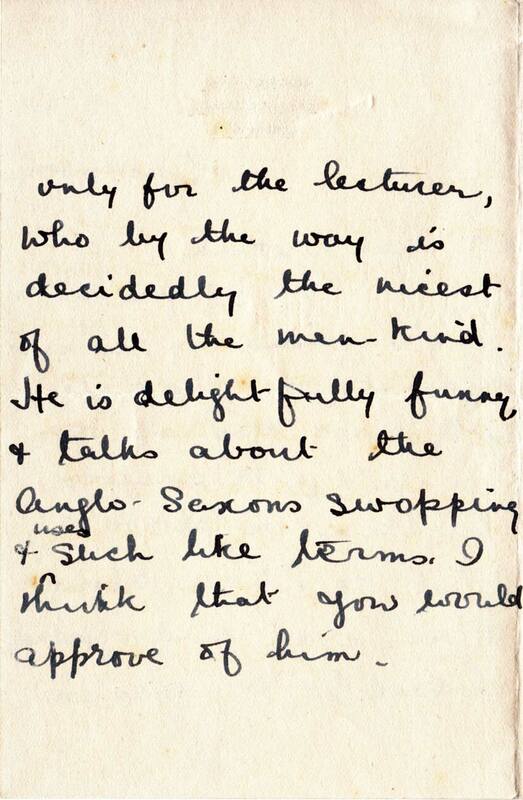 He also enjoyed writing with humour and poking fun, all in good nature of course. 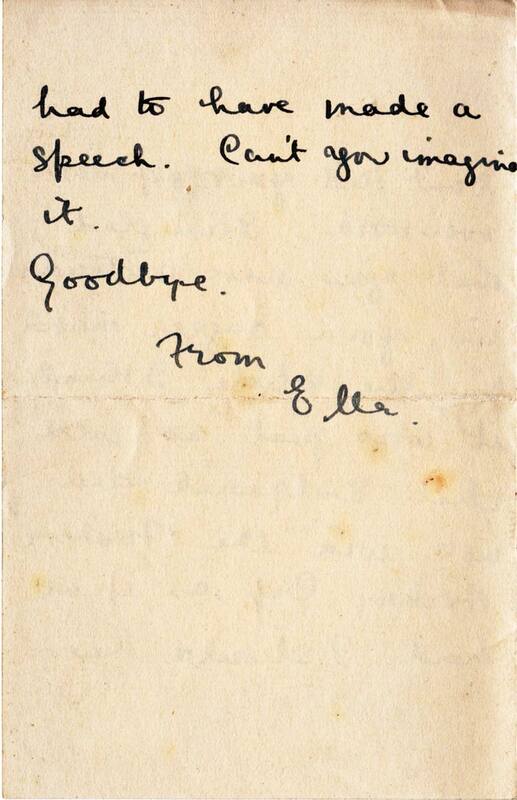 Below is a short letter written on 1st November 1915, from his sister, Ella, then studying at Newham College, Cambridge, responding to some mischievous comment Cyril had made about her being a "blue-eyed undergraduate". She begins, "M'dear Brothah"